Are there any early Judaic sources that discuss whether all firstborn sons HAVE to be redeemed, or can any firstborn son be dedicated as a priest - and NOT redeemed? Note: Like, the Tannaim, the Mishnah, or Talmud. At the very least, Scripture is clear that firstborn sons NOT dedicated as priests must be redeemed. Exodus 13:2, (Shemot) - "Sanctify to Me every firstborn, every one that opens the womb among the children of Israel among man and among animals; it is Mine." Number 3:41, (Bamidbar) - And you shall take the Levites for Me I am the Lord instead of all firstborns among the children of Israel. And [take] the Levites' animals instead of all the firstborn animals of the children of Israel. The redemption of every first born child is mandatory as we see in the pesukim that I reference. And every firstborn donkey you shall redeem with a lamb, and if you do not redeem [it], you shall decapitate it, and every firstborn of man among your sons, you shall redeem. Every first issue of the womb of any creature, which they present to the Lord, whether of man or beast, shall be yours. However, you shall redeem the firstborn of man, and the firstborn of unclean animals you shall redeem. Once Hashem caused the Levites to redeem the bechorim, He then specified the various roles that the different groups of Leviim would serve in the Mishkan. Aharon and his sons were the priests and the remainder of the trib of Levi had the other roles in the mishkan (such as the choir etc.). I see that you removed the Shmuel question. However, I answered it before you did so. Korach saw that Shmuel Hanavi was going to descend from him. Thus Korach concluded that if Shmuel Hanavi was going to come from him it must be that he deserves to be the leader. Rashi adds in that Korach felt he shouldn’t pass up taking the position of Cohen Gadol for himself. The Midrash explains that Korach didn’t realize that he would die, that his children would be Chozer Betshuva, and that Shmuel would descend from his son. Not the answer you're looking for? 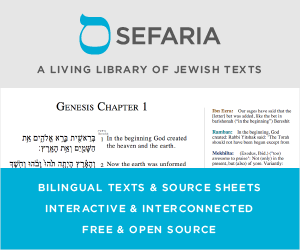 Browse other questions tagged kohen-priest genealogy shemot-exodus bechor-firstborn . Will firstborn sons or Kohanim serve in the Third Temple? Can a father dissown his oldest son and make his younger son the bachor?